There are 3327 posts in this topic. You are on page 50 of 67. I do agree at this point since many of us are now paying, it would be nice to see detailed pics of the final product. Some eye candy never hurts! 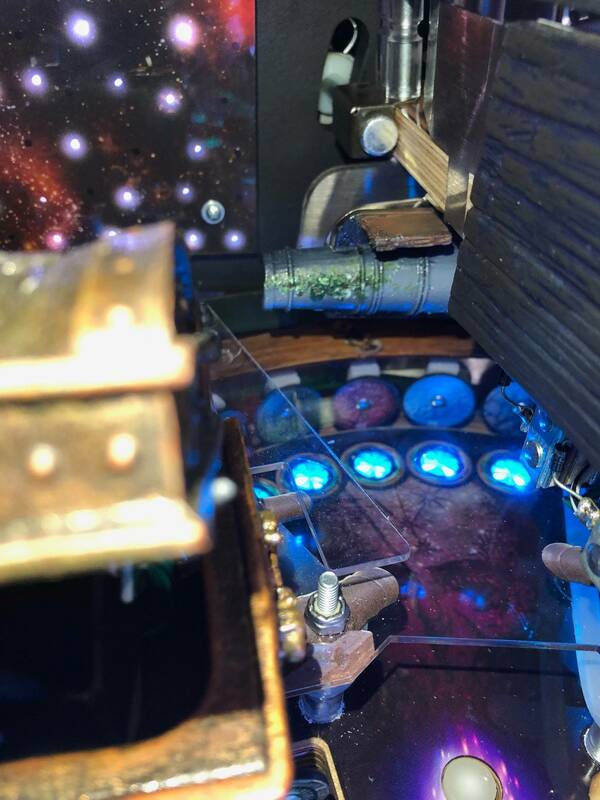 FB update with pics; looks like many are underway! Anything new in today’s stream? Those things must be costing a hell of a lot to build. So much stuff (and wiring!!) below the playfield ... and obviously above too. I'd be amazed if they get away with a BoM and assembly cost that's not at least 2.5-3x a Stern LE on the Standard (not LE). I feel like they'd have made their jobs easier and cheaper by never having the disk, never having an opening and closing trunk and removing the spinning bumpers. If people never knew about those features before they were removed, they wouldn't have missed them. The game has so much wow otherwise, I feel like they're just making their lives more difficult than they need to be. 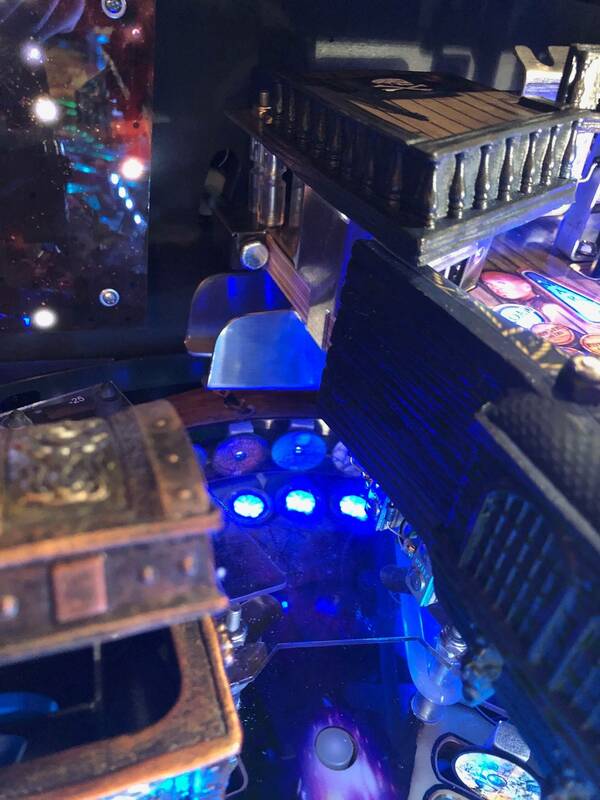 PotC really had the kitchen sink thrown at it ... more than WOZ IMO ... though at least they now have a much more rational board system and locations, in the backbox, rather than a *TON* of stuff in the bottom of the cabinet - so maybe they have found other savings and cheaper ways of doing things too (hopefully). No. Nor have they removed the disc. I just think they're unnecessary effort when the machine is already so packed and expensive, and are fairly peripheral in terms of function or show. They're also likely to be the two most unreliable elements on the machine. rubberducks, I see what you are saying as well, they could have left a few things out and possibly reduced the price point a bit and maybe save some time doing so but Jack and Team pride themselves on this very thing. 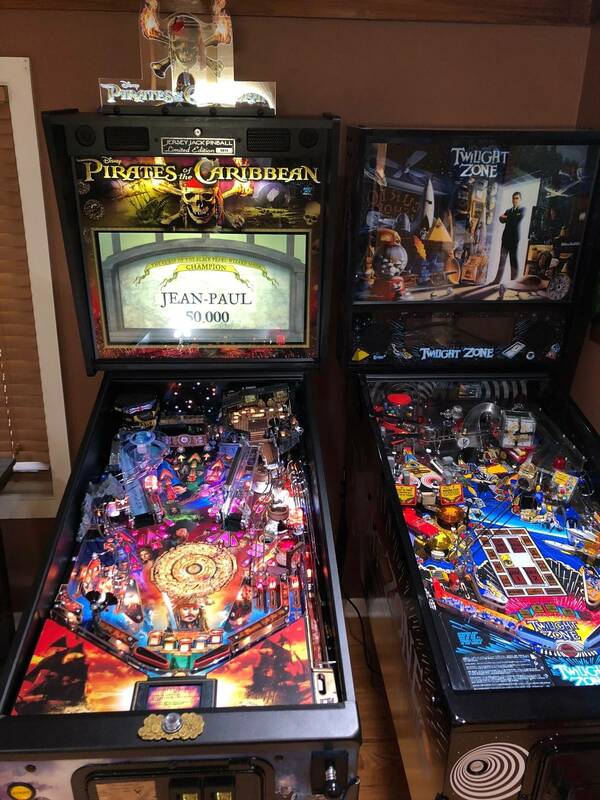 These pins are over the top, nothing even close on the market; hardware or software wise. I'm showing support through buying an LE. When I look at a 2 flipper standard body from the competition, at a price that is not too far off of this, I can't believe that people are eating them up. The point is, they don't really add anything at all ... except a tiny bit of ball movement, and potential unreliability. Without them it'd still be in a class of its own in terms of features and interactivity. Sure they'll be nice for customers, provided they're reliable ... but would a single person have said "this game doesn't have enough toys or trick bits or features ..." if it had been revealed without them? 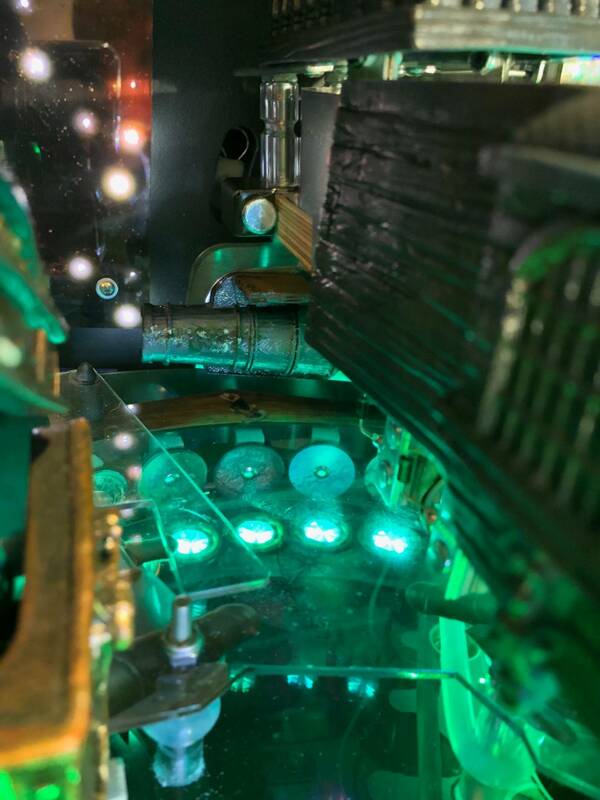 The omission of the disc would surely have sped their time to market by a number of months, and removed a huge amount of development time, while cutting the BoM and assembly costs a little. Would I remove anything on WOZ, Hobbit or DI that seems superfluous or possibly problematic? Can't really think of much ... maybe the theatre magnet on DI. That's about it. 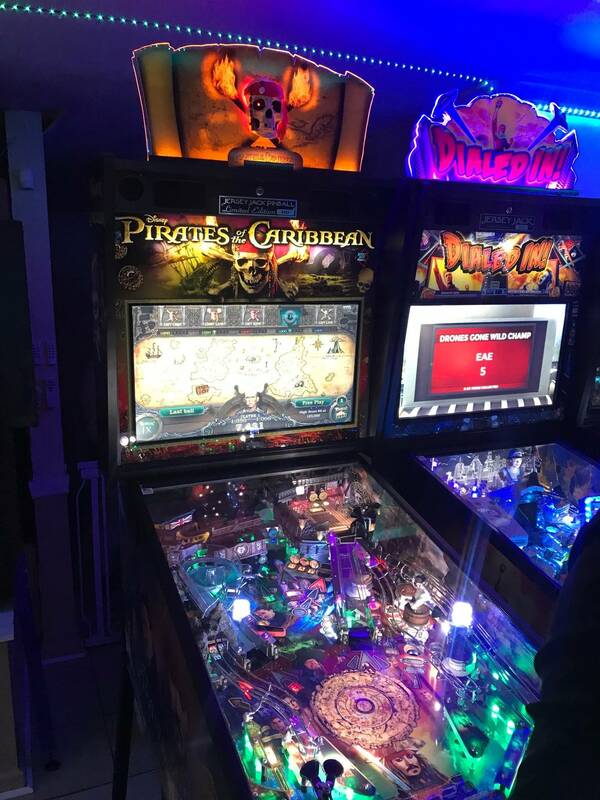 I just think they went too deep on PotC .. the 4th game shouldn't have been this much trouble and been so delayed, when it looked like they'd turned a corner on that with DI. Finished product is likely outstanding, but I don't think they needed to make it so hard to get there. JJP is known for their attention to detail and throwing the kitchen sink in with the design. 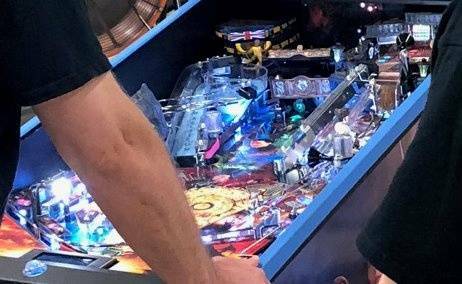 The designers have a lot of freedom to make what they think will be a top-of-the-line pinball design that they want to be proud of and known for in their legacy. 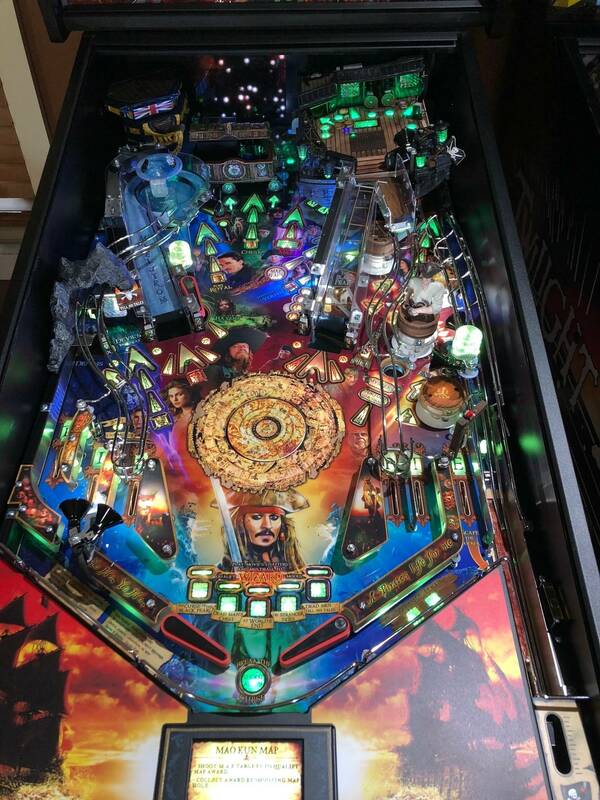 After talking both with Eric and Jack about the design, you have Eric to thank for pushing the design to go with a fully populated wide body (instead of a standard body), a rocking upper playfield (instead of no upper playfield), and all of the other attention to detail in his design. Without all of these added "features" the pin would not be as fantastic as it is. If the design was stripped down a bit as suggested, I doubt that the price would drop lower than DI. Letting the designers "do their thing" is a great company direction that we benefit from. The design with flat code would make it not as great. JJP gives the coders some freedom and time to be creative and innovative also. The theatrical presentation with code, lights, sounds, music are top notch - no one comes close … because they are given the time to do it right and return to polish the code and "experience" later with owner feedback. 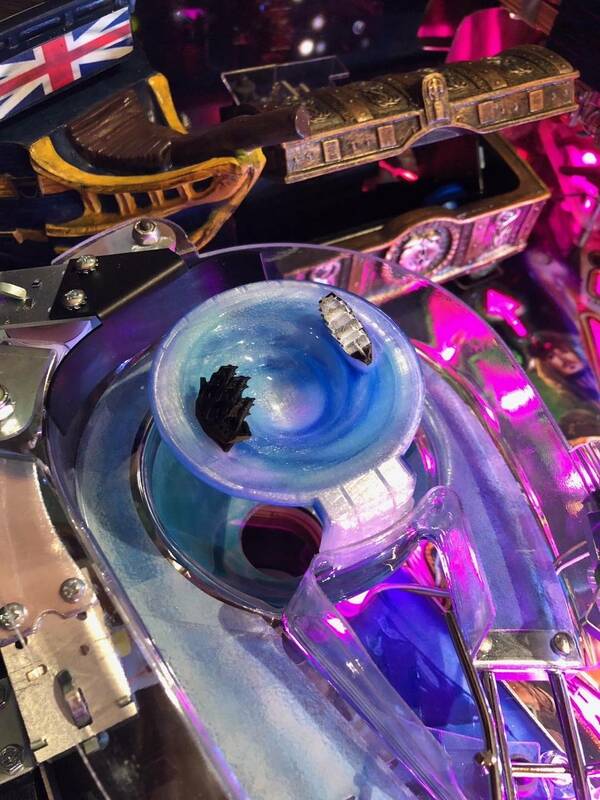 These things are what sets JJP apart for their type of pinball machines. Am I a Stern hater? No, I own some Sterns too. 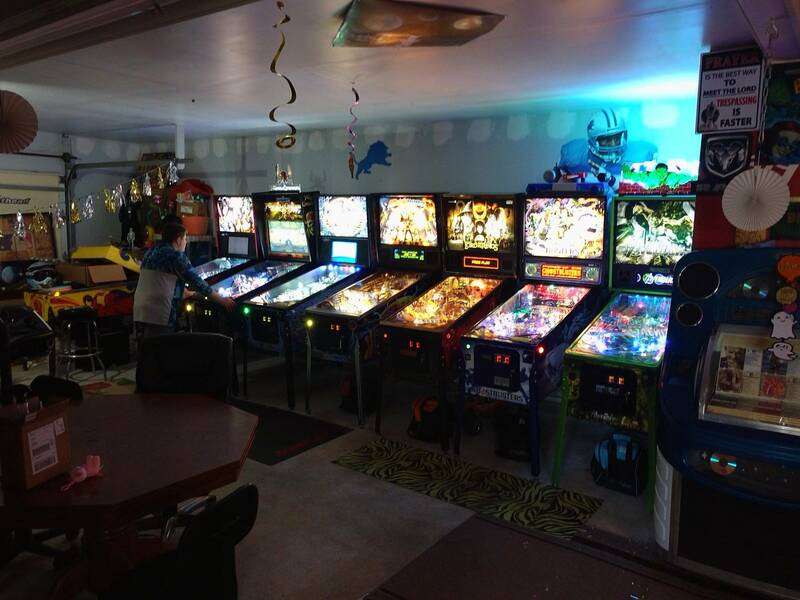 A well rounded pinball collection with the different styles of pinball design is something that we like and so do guests that come to play pinball. 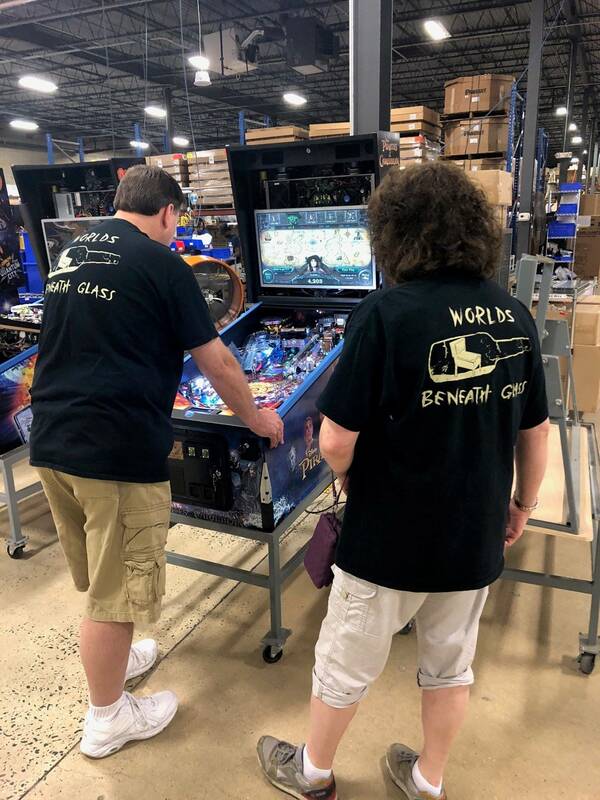 For us, when we and our friends and family play JJP pins, we walk away smiling. JJP is "doing it" just fine. 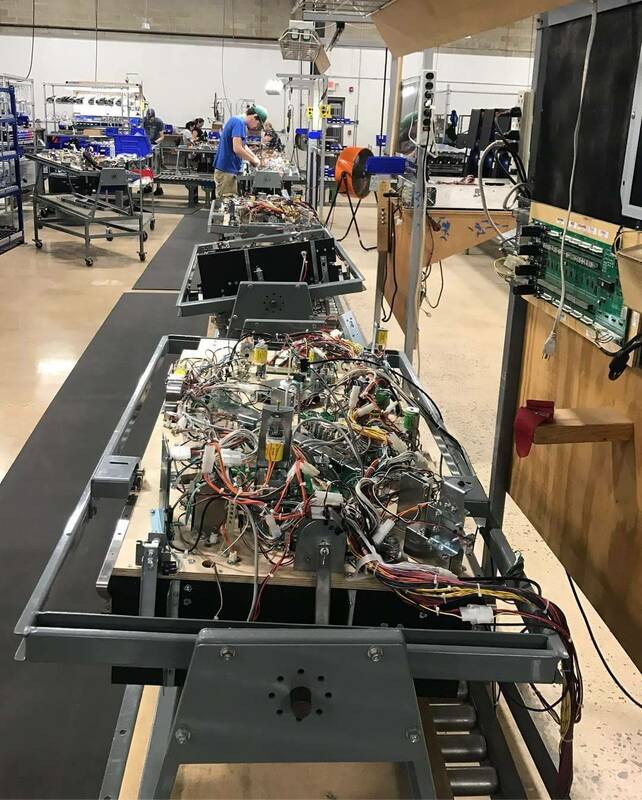 Keep up the good work with attention to detail and innovation - Jack, Jen, designers, coders, sound people, support people, distributors, and even the assembly line workers. and even the assembly line workers. Especially the assembly line workers. Played this at SFGE. It was just OK. Good game for kids I think. Great info! Thanks for sharing your well thought out, on topic contribution. 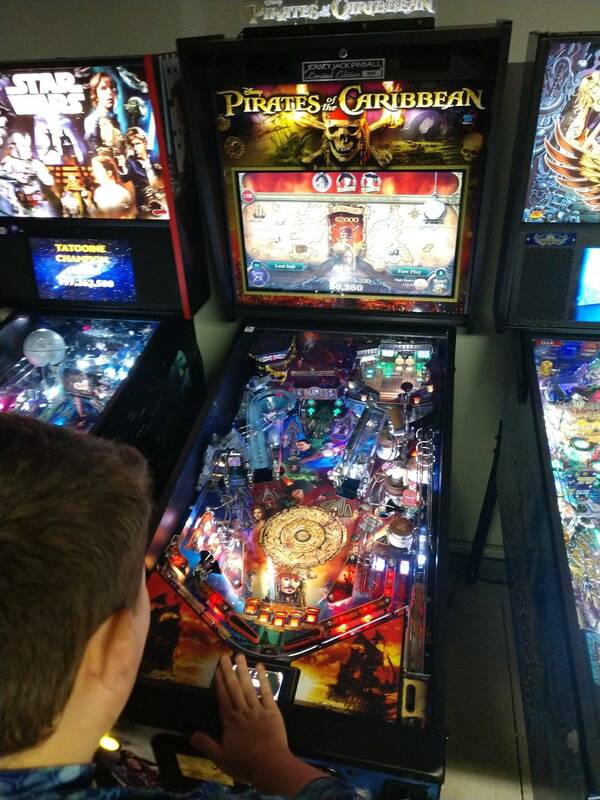 Is it just the angle, or is that playfield crazy packed? na it's your eyes. 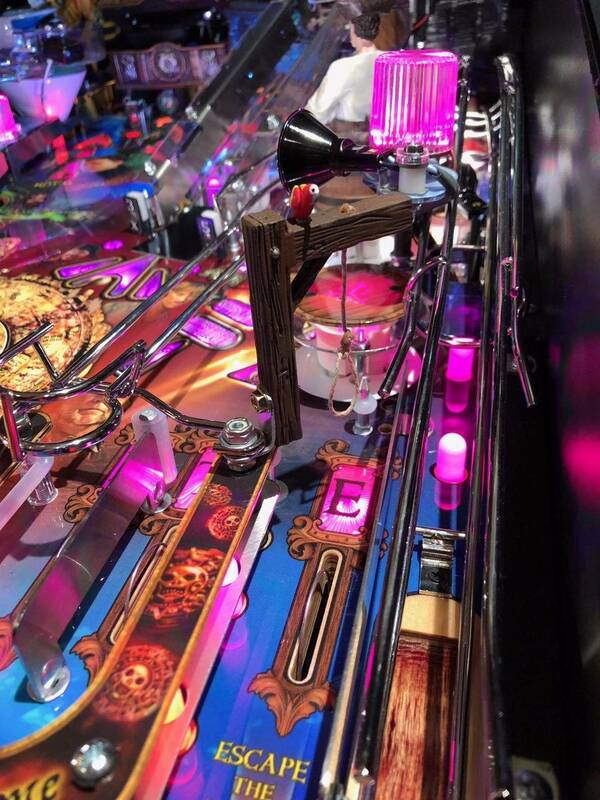 Holy Mother of all Pinballs ... it's no wonder why the playfield is so thick. Next thing JJP crew will be creating is a genetically engineered wood playfield, grown with embedded anti-sagging properties (patent not pending). 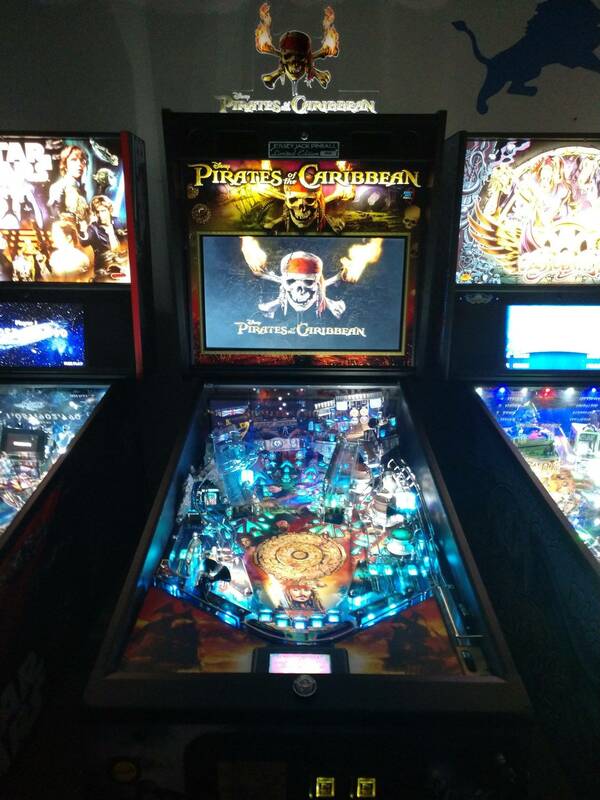 I've said it before ... there is more technology in JJPOTC pinball and it is better than what NASA put in Apollo 11. 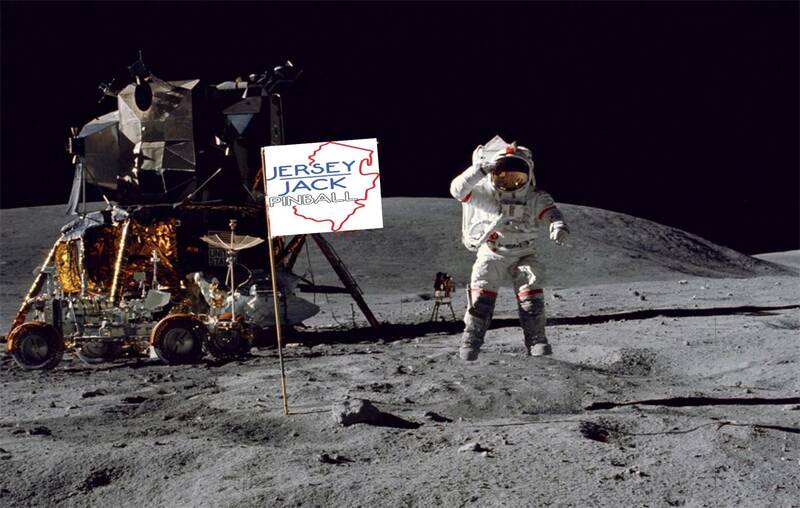 It’s a good thing they didn’t have JJP technology on Apollo 11, or we would’ve probably never landed on the moon. They probably would’ve just stayed in a low orbit and played JJPOTC until their fuel reserves dictated returning to earth. With deadpool being announced and looking awesome. Im finally cancelling me preorder. Picked up a SW premium and will be getting a Deadpool premium in a few months. POTC Lost every bit of HYPE for me and im not the only one clearly. I had a bad taste in my mouth about buying the first model anyways. JJP has had mechanical issues where they had to send out parts to owners with almost every machine. Not to mention i hated the thought of buying the first LE. Then a year and a half from now a sweet BlackPearl Version being released. I still love the game. And ill probably be back on board for the Black Pearl addition a year or two from now. Also gives them time to polish out whatever problems for this model arrise. Fact is however if they would have stayed on schedule. Not had a disc gate situation. And released in q1 of 2018. They would have had my money no doubt. Mistakes were made. I still have some day 1 orders for limited and collectors editions of you are looking. 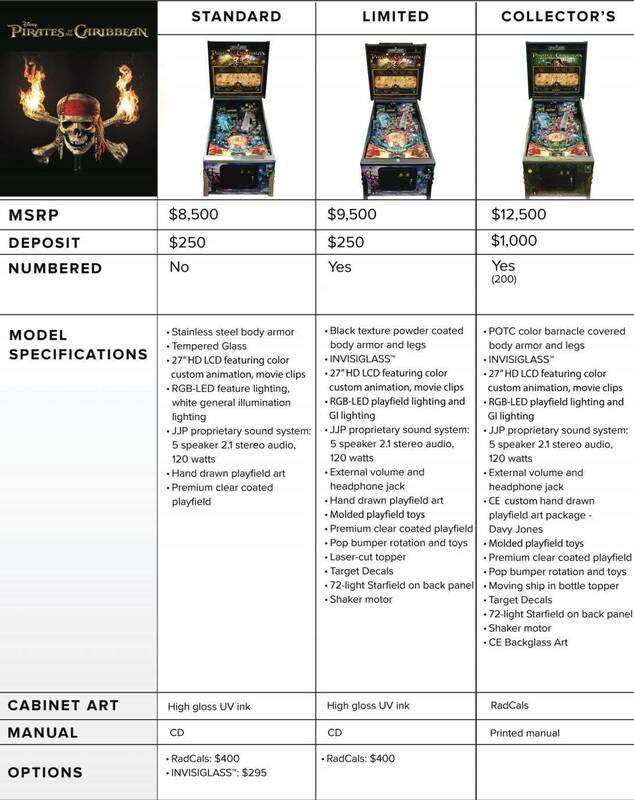 As opposed to newer Sterns where you have to replace cabinets and playfields? Look, I understand what you’re saying but calling out JJP for glitches on new production pins as a reason for buying a couple of new production Stern games instead gave me a good laugh. And ill probably be back on board for the Black Pearl addition a year or two from now. Deadpool does look tasty and we haven't even seen it played yet. I put in a deposit on an LE (b/c i love depreciating assets). I totally get where you're coming from being out of patience. I pre-ordered at the reveal. But so you know, Jack Guarnieri said that there will not be a Black Pearl edition. you're basically getting that with the LE. Also, Hobbit LE > Black arrow imo. You'll be able to get a game later, just don't expect a new version to come out. This game will sell with the current editions. 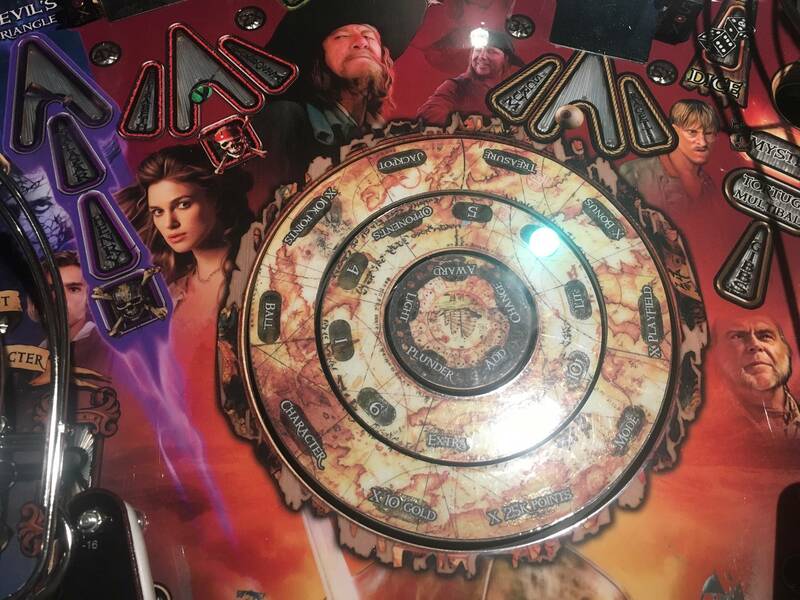 The movie on jjp website on their games section is showing 3 spinning discs but i read there will only be 2 , is there still a chance of this happening? Or on a LE version? Any official statement to find somewhere? Deadpool does look tasty and we haven't even seen it played yet. I put in a deposit on an LE (b/c i love depreciating assets). I totally get where you're coming from being out of patience. I pre-ordered at the reveal. But so you know, Jack Guarnieri said that there will not be a Black Pearl edition. you're basically getting that with the LE. Also, Hobbit LE &gt; Black arrow imo. You'll be able to get a game later, just don't expect a new version to come out. This game will sell with the current editions. Not hobbit LE> Smaug edition though imo. Which is what i have. I have a serious doubt JJP will not have another version of this. But maybe im wrong. Either way i dont like how they release different more cool versions later. One single spinning disk. 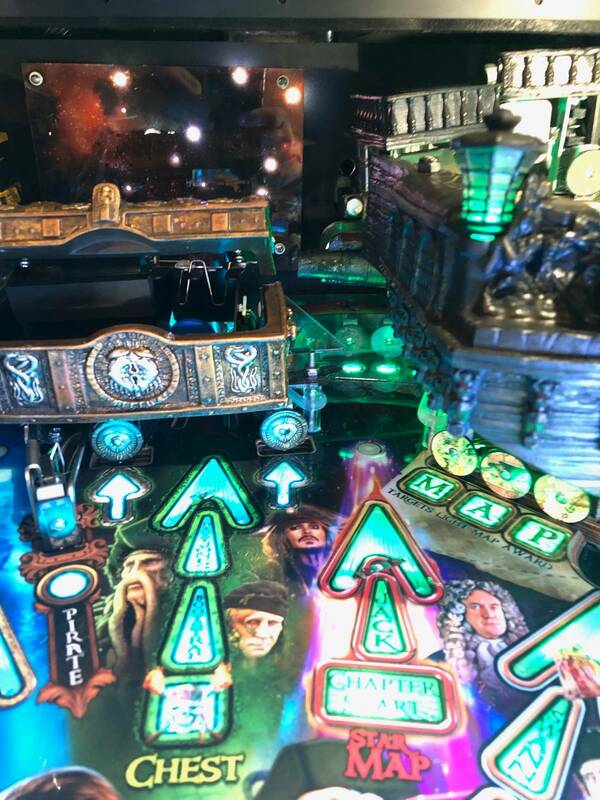 the triple disk functionality has been implemented with amazing animations on the backbox screen. there is NO chance of a physical triple disk on any version of this game. It is not being made, nor will there be code to support it. The idea of 3 discs and them lighting up is cool. It seems like there is more ball action with the single disc, though. So all in all, no real changes except the disc rewards are on the lcd. Tri disk was very loud. The ball interaction is going to be better with a single disk. I am glad it has been swapped out. Seem like it would be a mechanism nightmare down the road. After putting extended time on this pin the disk truly is the last thing you focus on . Great pin! I watched the most recent JJP Live video today. As someone with really no skin in the game (I'm not able to buy any NIB pins myself as finances won't permit it)...I must say I was BLOWN AWAY! 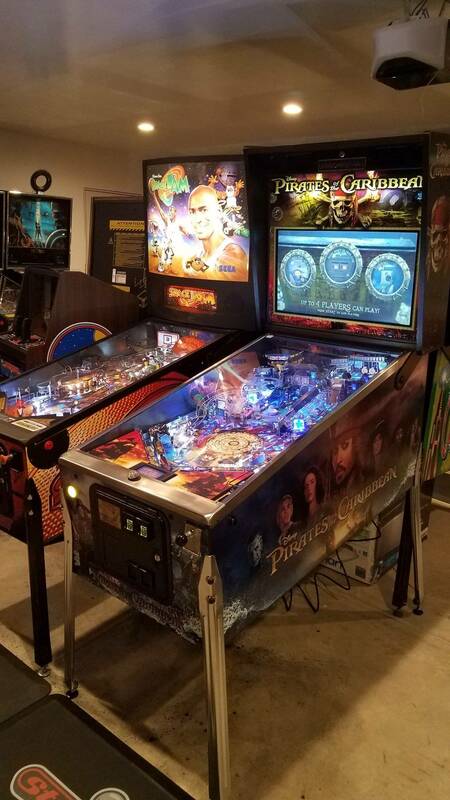 POTC looks amazing! The music is appropriate and never distracting or repetitive. The call outs are just perfect, both helpful and humorous. The light show is classic JJP, lots of color and ever changing beauty. Looks like a deep rule set, but still fun for a novice to walk up and be wowed. There just doesn't, in my mind, seem to be anything that looks this good! My hope is that someone around me (Baltimore...hint hint) has one and sets it to 50 cents a play. That way I can play around 17,500 times before feeling like I should have bought it. Great job JJP....amazing machine that I can't wait to play!!! My hope is that someone around me (Baltimore...hint hint) has one and sets it to 50 cents a play.! That's fantastic! Thank you so much and I'll take you up on the offer. Let me know your choice....6 pack of beer or plate of homemade brownies! Let me know your choice....6 pack of beer or plate of homemade brownies! I would go for the brownies if they were "special ". 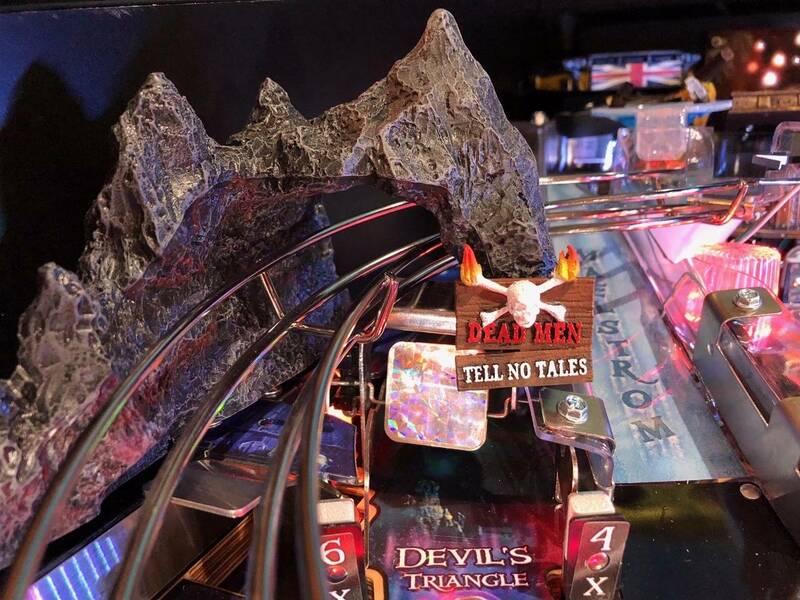 Any pics of production maelstrom ramp yet? Maybe you can zoom in better on the photo that Jack took of my wife & I playing. More clear on top, more frosted blue in the cone. Looks good, I was curious what part was more clear. Looks great. I’m liking the coloring on the production spinning disc map too. There was at least 15 visible in the line (cabinet wise). Are these all for distributors to show off? How much longer are we waiting? Are these are all for distributors to show off? Some people have posted they've gotten the call from Jen that their game is on the line. Hopefully one is for me to learn for tech support. I agree! You should deff have 1 of the first 3 off the line! To say the least! If I were making pins, you would be very high on that list. Any word on when these are actually going to ship? They have to have quite a few built at this point since it’s been 2 weeks since they announced production. Hard to say. It takes time to get up to speed. Jack was doing cartwheels this morning as the first shipment went out. We have cartwheels! 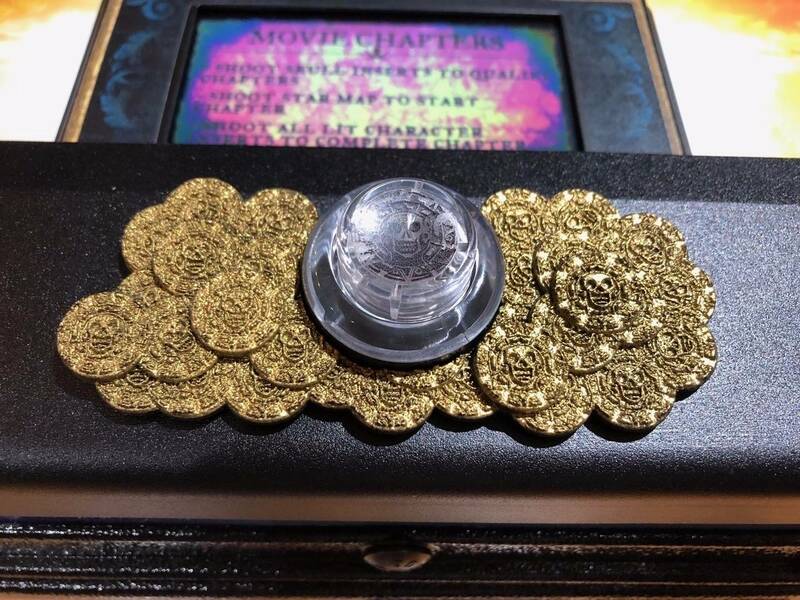 JJPOTC are on their way! Lol, that is a happy man and justifiably so. Congrats JJP and team on what will be the best game out. That was pretty darn funny! Who would know if that is a full trailer of POTCs? I hope it was a full truck load! They had to have 30 or more cabinets sitting there 2 weeks ago when the first pictures from factory were shown.